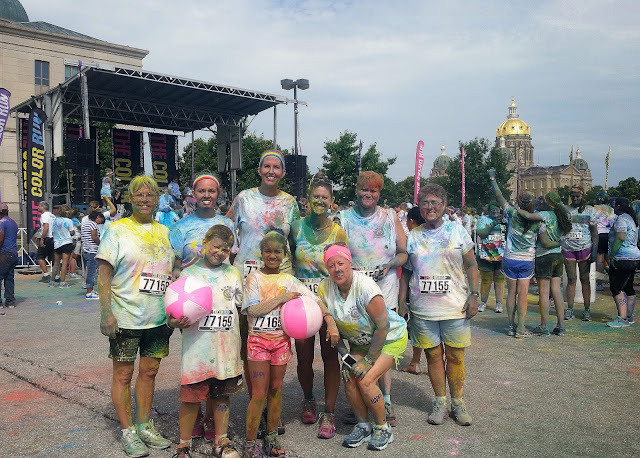 The Color Run is once again heading to Des Moines this summer! And I'm so excited to be participating for another year and with some family members again! Plus it's fun for all ages! It's one of Kaydin's favorite events of the year. It's everyone's favorite event of the year! I mean, what's not to love? 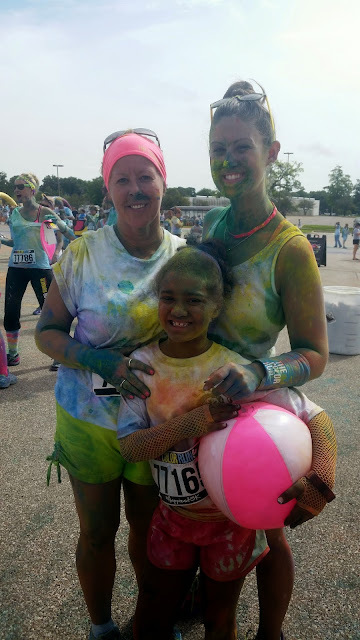 Loud, energetic music, excited people, neon color clouds, and family and friends to run and walk the course with! 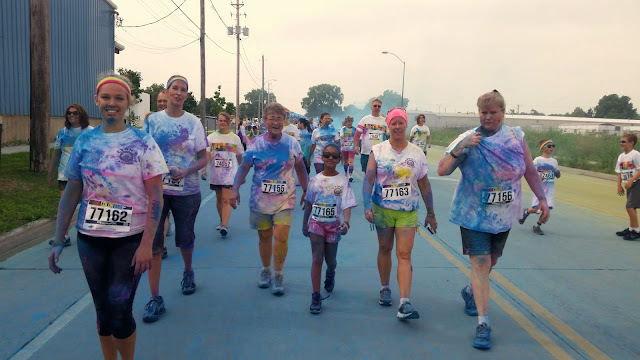 Plus with registration you will also receive a Shine Tour Participant Kit including a custom race t-shirt, gold finisher's medal, multi-color headband with silver stitching, shine packet of your own to throw and shiny tattoos! Will you be joining me this year?? Sign up now with my code MLC172563.